BlackToe Men's NB Winterwatch Jacket - BlackToe Running Inc.
We have our own branded NB jacket for people who love to run! Winter-proof your running routine with the men’s BlackToe NB Winter Watch Jacket, made to brave harsher winter elements with a rugged wind- and water-resistant outer layer that remains adaptive enough to adjust to your agile movements. NB Heat brushed back fleece fabric offers added insulation that helps retain warmth, and side body zip vents help it breathe. Bonded hand zip pockets help store your essentials for days when your workout turns into an errand run. Brent S. Reviewed by Brent S.
This jacket is a must have for anyone who likes to go running outside during those cold winter days and nights. It is lightweight but incredibly warm and contains great reflective materials to be seen by others. Jillian R. Reviewed by Jillian R.
Love Black Toe Running.... wish they were closer to us! 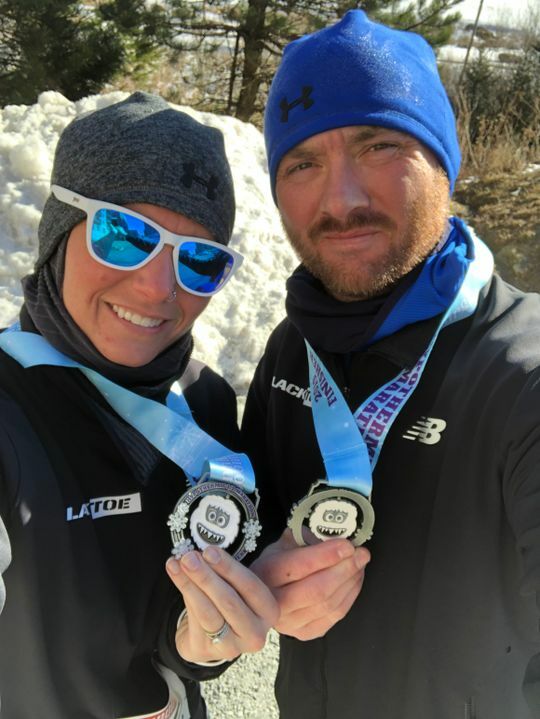 Just ran 21.1K in -18 degree weather and our jackets were AWESOME!!! Best purchase ever!!! Thanks Black Toe!!! Like all BlackToe products, an excellent jacket, warm, wind proof and comfortable.